If you really want to impress in the gym, hit the road and rope for endurance. 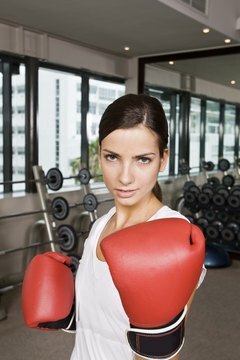 If you've already strapped on the gloves and stepped into the ring, you know how to take charge of your workout routine. Boxing isn't just about looking tough in gym mirrors; it takes real discipline and endurance to get good. Two of the best ways to build endurance for boxing are running and jumping rope. Weigh the pros and cons of each to find the perfect fit for your routine. Ideally, carve out the time to include both types of conditioning -- you've got this. When it comes to cardio, running is as straightforward as it gets. 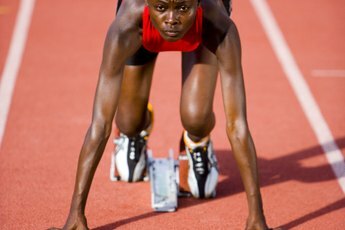 Including lengthy runs of 2 to 5 miles into your boxing routine will increase aerobic capacity, but it isn't the best way to increase sport-specific endurance. If you want to get more out of your roadwork, check out the benefits of interval training. Boxing involves short, exhausting bursts of intense speed and power, which is why shorter sprinting workouts take the cake over an easy morning jog. You may have skipped rope as a kid without realizing how effective it could be for endurance training. Jumping rope improves aerobic and anaerobic conditioning simultaneously, since it elevates your heart rate and recruits several different muscle groups. Jumping rope can help you improve speed, footwork, agility and coordination, making you faster and more dangerous in the ring. Versatility may be the greatest advantage of jump rope training for boxing. You can change up your skipping style to challenge your body in new ways. Although the advantages of running and jumping rope outweigh the disadvantages, it's important to understand the limits of each form of exercise. Both running and jump rope can be hard on your joints, particularly your ankles, knees and hips, due to repeated impacts. Running may not be as versatile as jumping rope, but it's typically an easier exercise to sustain for a longer period of time. The learning curve for jump rope training can be steep. If you devote enough time to boxing training, you can find time in your routine to include both running and jumping rope, since each exercise carries unique benefits. If you have to choose one over the other due to time constraints, a few minutes of jumping rope is the way to go. Once you've got the hang of it, you can give yourself a killer cardio workout and develop sport-specific skills using a speed rope. 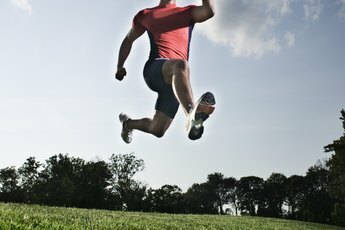 ThatsFit.com: Is Jump Rope Better Than Jogging? Are Heavy Bag Workouts as Good as Sprinting?